You probably assume that someone can only see what’s on your computer screen by looking at it. But a team of researchers has found that they can glean a surprising amount of information about what a monitor displays by listening to and analyzing the unintended, ultrasonic sounds it emits. The attack is possible because of what’s known as a “physical side channel,” data exposure that comes not from a software bug, but from inadvertent interactions that leak information between a computer’s hardware and the data it processes. In the case of the monitor investigation, the researchers—who also include Daniel Genkin of University of Michigan, Mihir Pattani of University of Pennsylvania, and Roei Schuster of Tel Aviv University and Cornell Tech—found that the power supply boards in many screens emit a high-pitched or inaudible whine as they work to modulate current. That whine changes based on varying power demands from a screen’s content-rendering processor. This connection between user data and the physical system creates an unforeseen opportunity for snooping. “Even if an attacker can’t train on a specific monitor model, there’s still a very good chance that the attack will work anyway,” Schuster says. The group then expanded its work, training the system to decipher letters and words onscreen. While a much more challenging task—words don’t follow reliable visual patterns like the layout of a website—the researchers could generate reliable results for words in large font. As Genkin notes, black words on a white screen are similar in many ways to zebra stripes, and while there are countless word combinations, there are still only 26 letters in the Roman alphabet for the system to learn. The researchers even realized that they could detect what someone typed on a smartphone’s onscreen keyboard with some accuracy. Typically, digital keyboards are seen as safer than mechanical keyboards, which can give away what someone’s typing with their acoustic emanations. As it turns out, on-screen keyboards aren’t immune to these acoustic side-channel attacks either. 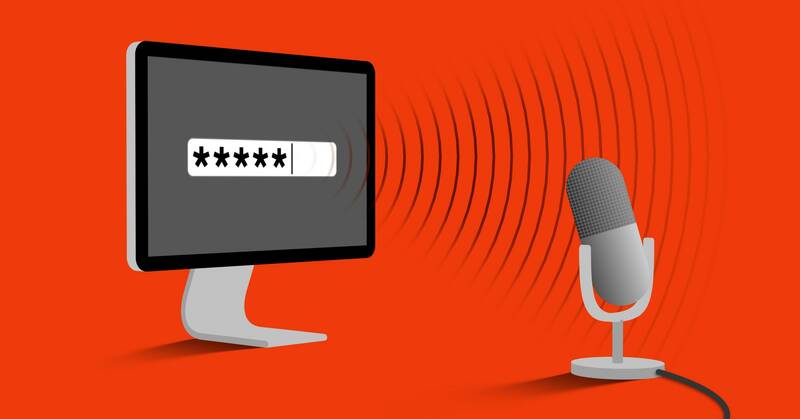 In another scenario, like an interview, an attacker could put their smartphone on a table or chair next to them and use it to record room noise while their interviewer looked at a screen turned away from the attacker. The researchers also note that the microphones in smart assistant devices can pick up monitor emanations. So if you keep one of those gadgets near one of your screens, the snippets of audio the smart assistant sends to its cloud processing platform likely contain emanations from the monitor. And since acoustic leakage from screens is mostly ultrasonic, audible noise like loud music or talking doesn’t interfere with a microphone’s ability to pick it up. The researchers say that this speaks to the larger challenges of mitigating these attacks. It’s not practical to flood most spaces with radio frequencies across the spectrum that would interfere with screen emanations. Manufacturers could better shield electronic components inside monitors, but that would add cost. Another approach would be to develop software countermeasures that specifically work to manipulate the information a monitor is processing, making it harder to discern. But you would need to embed those measures in every application, which the researchers concede is likely not practical. At the very least, though, it might be worth considering for browsers, or heavily used video chat programs.